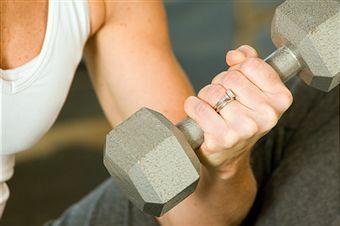 If you want to gain some muscle mass, you cannot achieve it through exercise and weight training alone. You need to devise a diet plan that optimizes your nutrition because you need particular healthy foods to aid in developing your muscle mass properly. It does not matter what your gender is, whether you are tall or short or already physically fit or a couch potato. Nutritional elements are relatively the same when your goal is gaining muscle mass. You must break up your meals each into five or six mini-meals rather than the basic three square meals a day. Breaking up your meals will provide a foundation for continuous energy throughout your day instead of the peaks and valleys three square meals provide. Staying hydrated by drinking plenty of water is important too – at least 8 glasses a day or more is optimal. Rely on fresh foods only. Processed or manufactured foods will have food dyes, chemicals and preservatives that can sabotage your quest for building muscle mass. Stick with fresh fruits and vegetables as well as fish, poultry and lean cuts of meat. Protein should count for at least 25% of your daily calories, making a conscious effort to introduce it into each mini-meal. Carbs and fat content should hover around 25% of your daily calorie consumption each day. Look to lean meats, poultry, eggs, fish and even cottage cheese for your sources of protein. Seeds, nuts and a variety of beans are great sources of protein as well as fiber, a component in food that fills you up. Bypass dairy products with a high sugar content such as cheese and yogurt. Stick with the low-fat dairy choices available. When you select carbohydrates for your mini-meals, choose complex options such as fruits, vegetables, berries and whole grains. Broccoli, spinach, blueberries, oats, bran, brown rice and apples are just a few examples of the complex carbohydrates. Complex carbs take longer to break down so the body processes it and slowly releases energy so you never experience that mid-morning or mid-afternoon slump. To give you an example of the bad (simple) carbohydrates to avoid, it is pretty much any rice, bread or pasta product that uses refined white flour and sugar. Simple carbs end up making you feel sluggish. Selecting the fat for your diet is rather simple when you know which ones can be counted as the “healthy” fat. The oils and fatty foods that contain mono-unsaturated fats and omega 3 fatty acids are good for you. Examples include eggs, nuts, olive oil, flaxseed, avocadoes and salmon. Avoid processed foods like ice cream, salad dressing, mayonnaise, chips and other junk food. If you stick to a specific workout schedule, be sure your mini-meal before your exercise period includes some extra complex carbs for an energy boost. And on your days off from exercise, increase your water intake to avoid overeating. Consuming the right foods in five to six mini-meal portions throughout the day for steady body fuel is important, especially if gaining muscle is your primary goal.